Marketing and sales departments are both highly important. 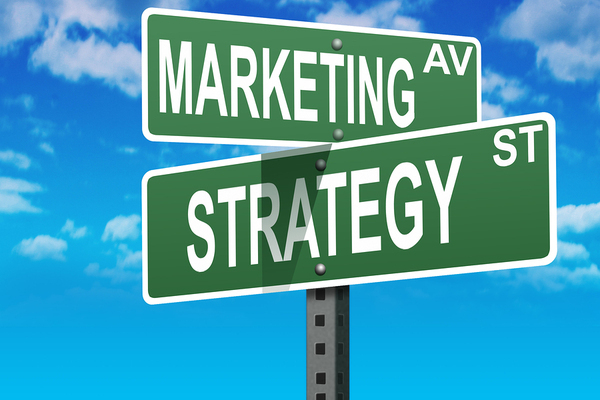 Marketing is responsible for creating a buzz around products and often for lead generation. Sales departments are responsible for closing sales. The end result is supposed to be a business strategy that maximizes return on investment (ROI) for the good of the company, from both departments. But what happens if the two departments’ goals aren’t aligned? Unfortunately, lack of alignment is all too common. A recent Harvard Business Review, for example, notes that a new product may be designed to increase market share. As a result, it may be sold at a low price point, with marketing’s input designed to lure new customers in with advantageous pricing. But the salespeople have goals in which they are incentivized to sell products with a maximum profit margin. A scenario like this has several possible end results, none of them good for ROI. The sales force may realize the goal of more new products being sold, but feel unable to achieve that goal as well as goals for profit margin maximization. They may feel demotivated. They may blame overall business leadership for giving them mutually incompatible goals. They may simply decide to sell more of the higher profit margin products, maximizing their own profits. And, of course, they can feel and do, a combination of things, none of which furthers the new product sales. How can organizations solve the problem of alignment. The HBR suggests involving salespeople in marketing decisions, particularly pricing strategies. It acknowledges, however, that salesforce involvement is not a popular solution with management — and perhaps not even one that is likely to be enacted. Why? Management believes that salespeople will always choose a low pricing structure because it makes it easier for them to move the product. The HBR authors feel, however, that salespeople have a much more sophisticated understanding of ROI and pricing structure than they are given credit for. The American Marketing Association (AMA) recommends overall leadership from the C-suite, with clear and fully articulated overall goals. In an ideal world, that would not so much solve the problem of a misalignment as ensure they didn’t arise in the first place. The second AMA solution? Create “push” content that is directly usable by the sales force. Push content such as case studies and testimonials is intended to “push” clients further along the sales funnel until they reach a salesperson. If this content is aligned with marketing goals, the thinking goes, so will the sales it generates. Finally, the AMA suggests linking ROI to marketing goals. How? By providing key performance indicators (KPIs), such as “deals influenced” or “deals sourced” to connect marketing efforts clearly to sales achieved. Lack of alignment in sales and marketing can be frustrating for both marketing and sales teams. It’s surprisingly common. These potential solutions can help alignment and enhance the ROI that both departments should be driving toward.